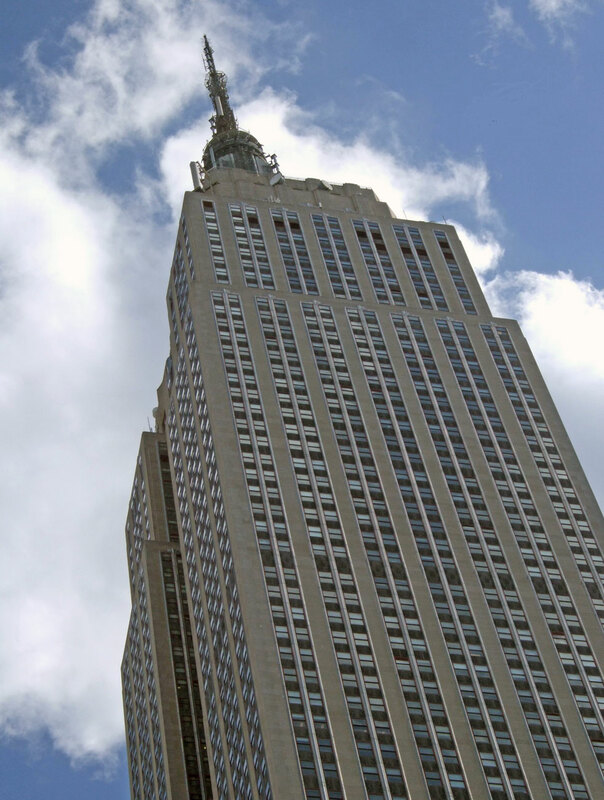 The Empire State Building is a 102-story landmark Art Deco skyscraper in New York City, United States, at the intersection of Fifth Avenue and West 34th Street. 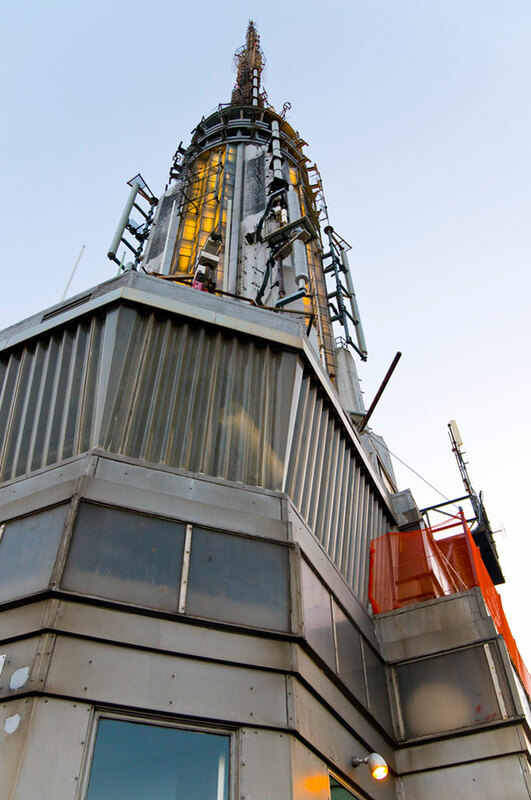 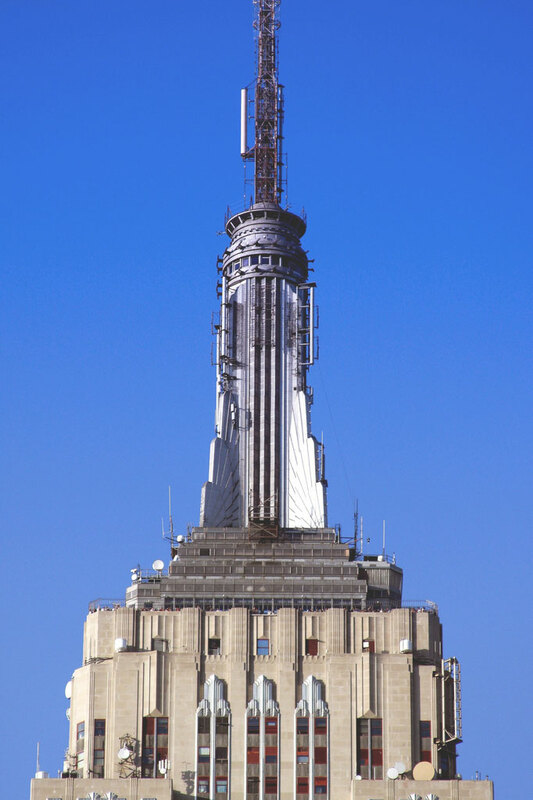 It is 1250 ft (381 m) tall. 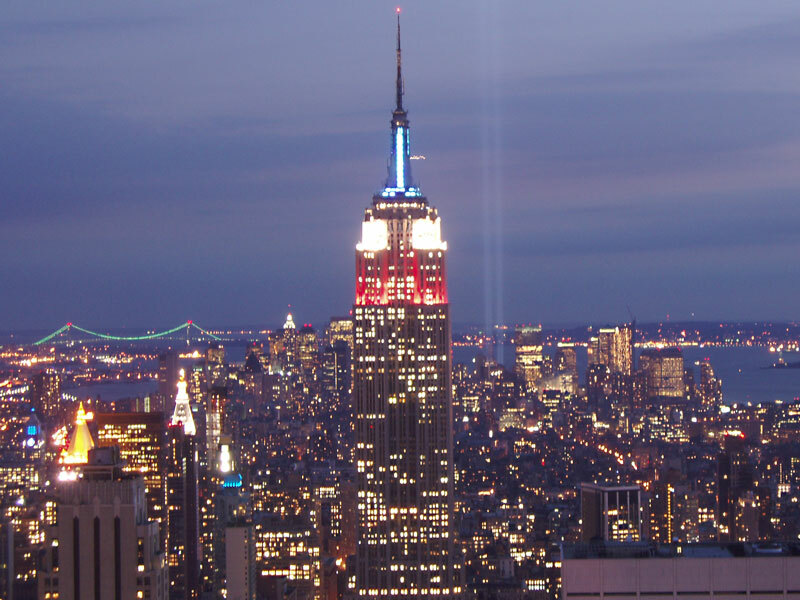 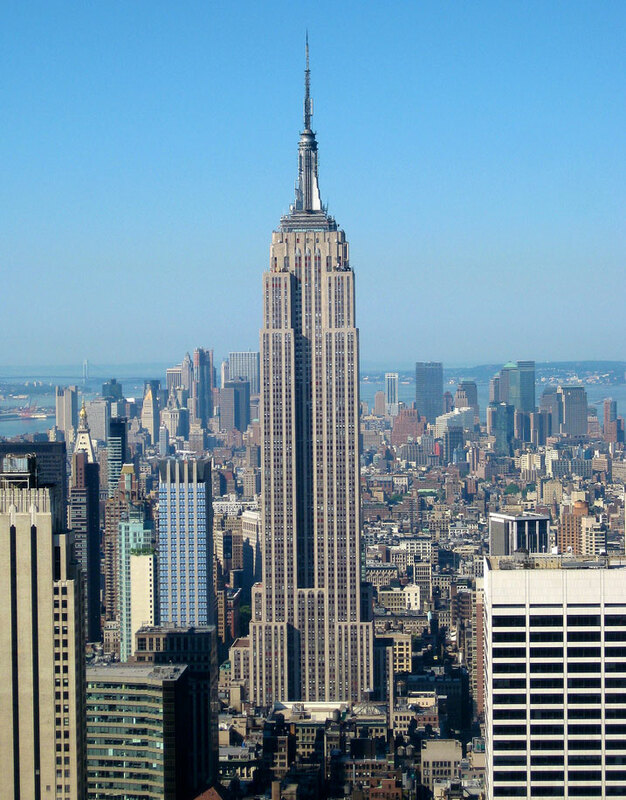 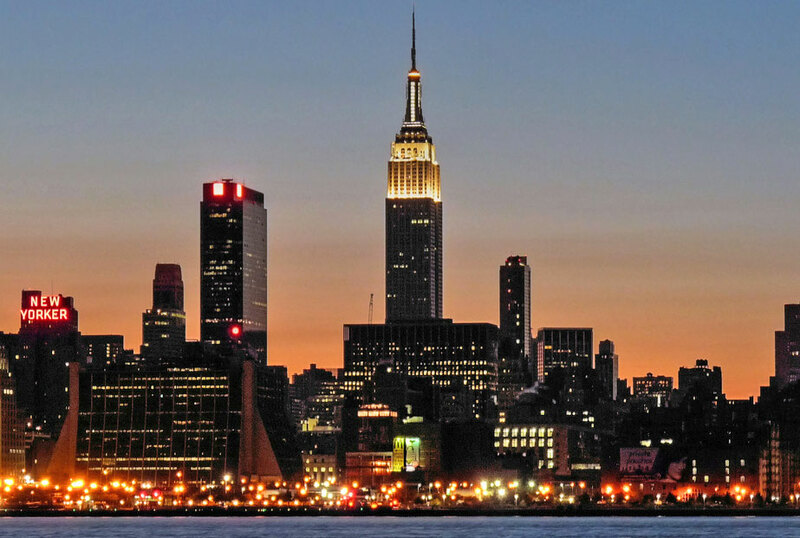 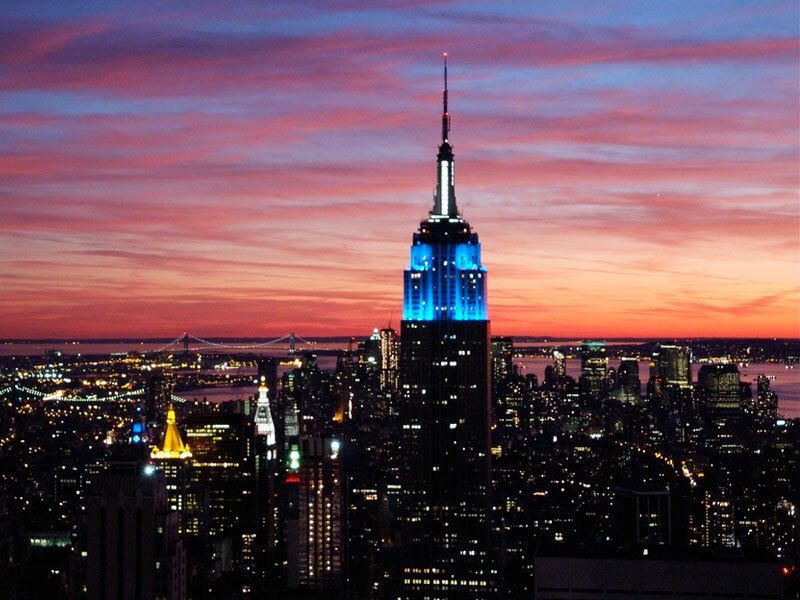 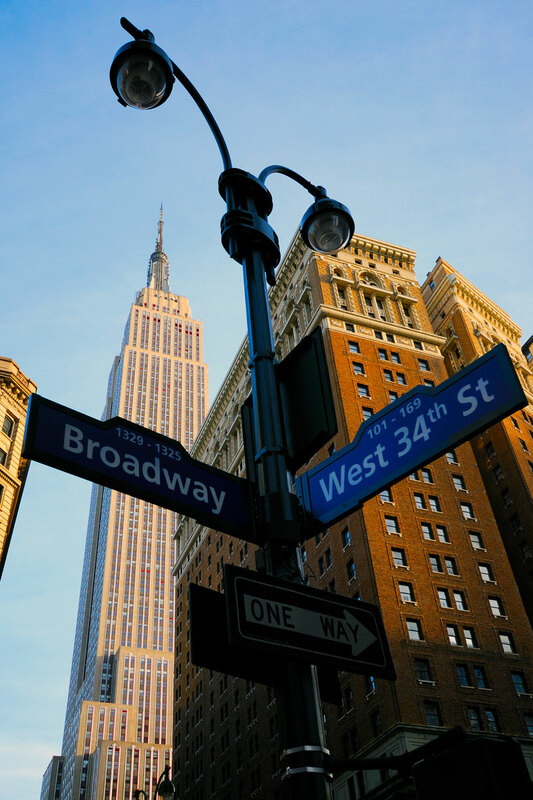 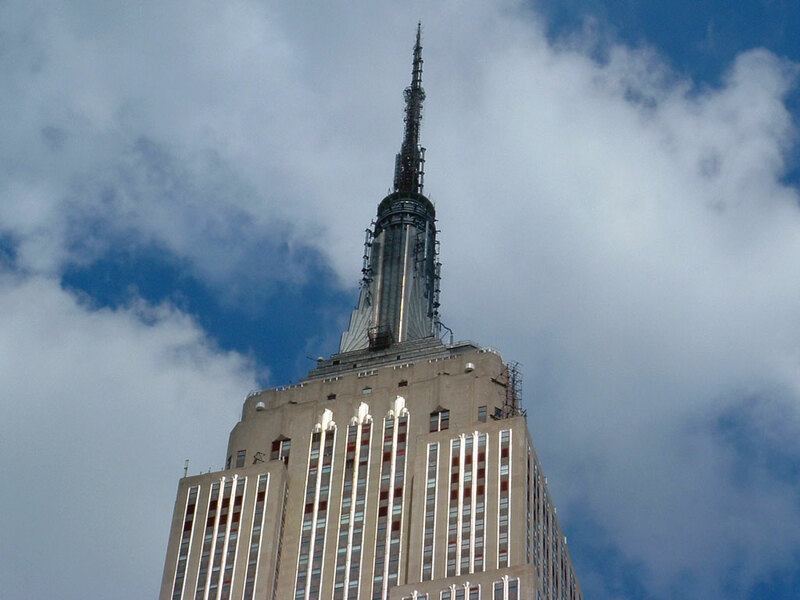 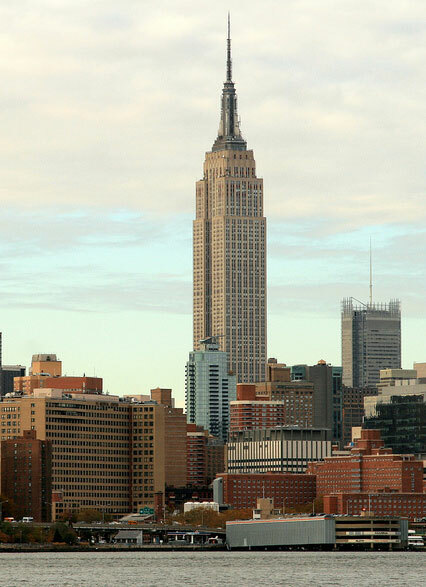 Its name is derived from the nickname for New York, the Empire State. 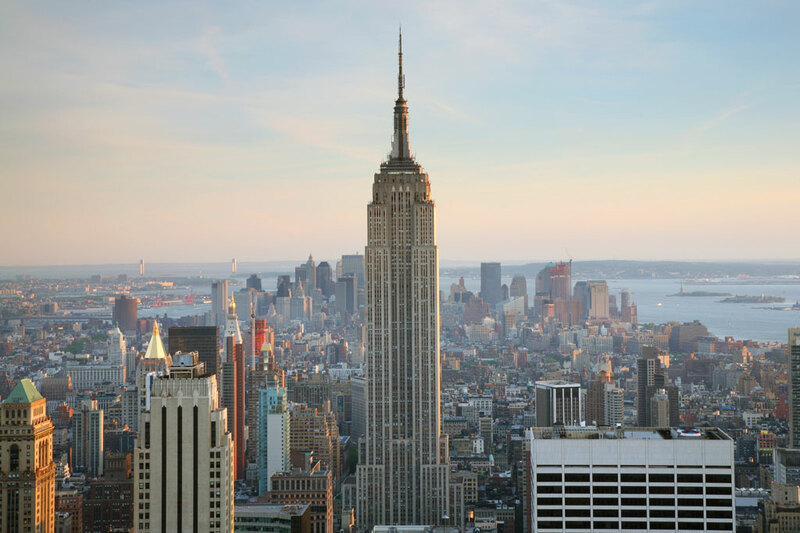 It stood as the world's tallest building for more than 40 years, from its completion in 1931 until construction of the World Trade Center's North Tower was completed in 1972. 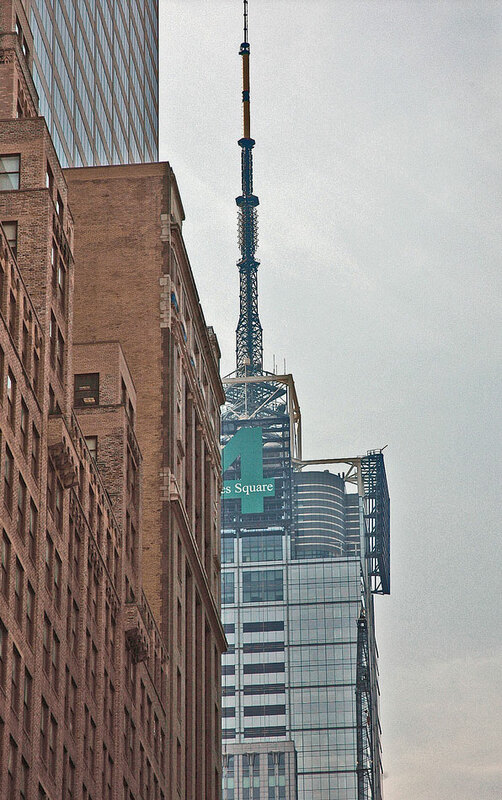 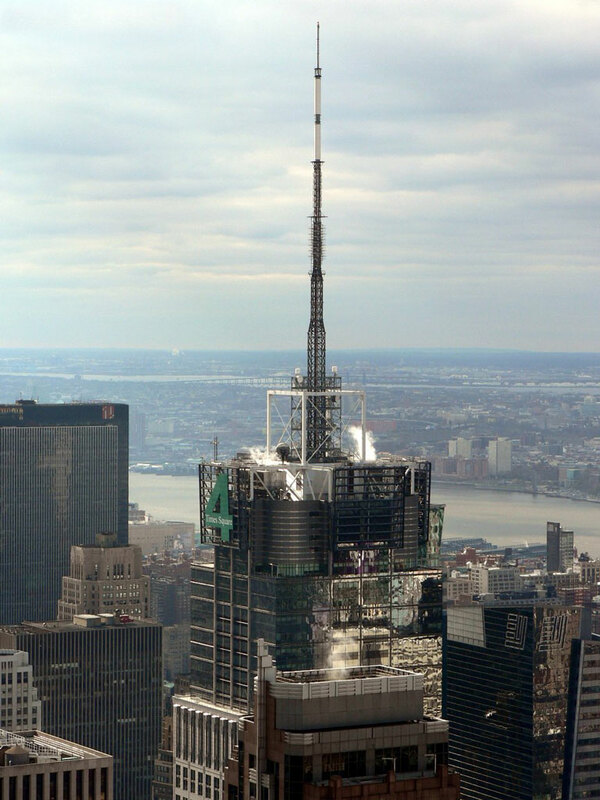 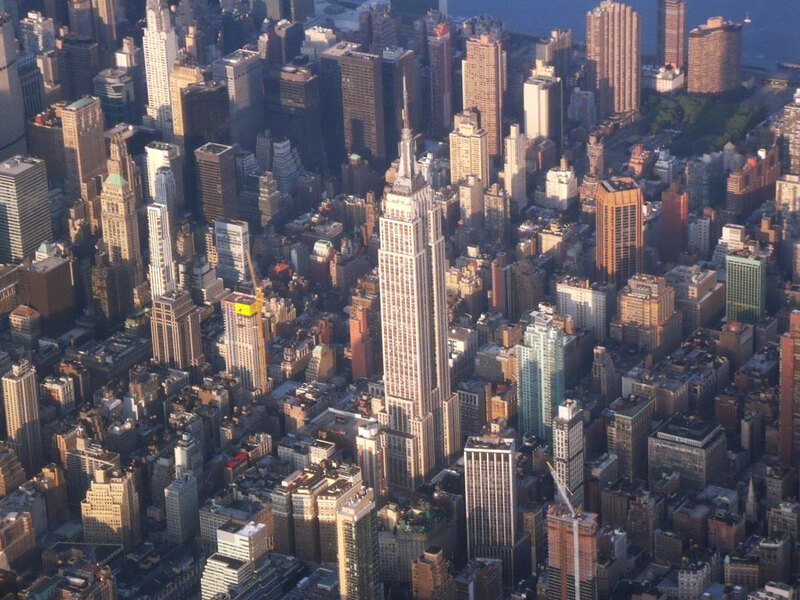 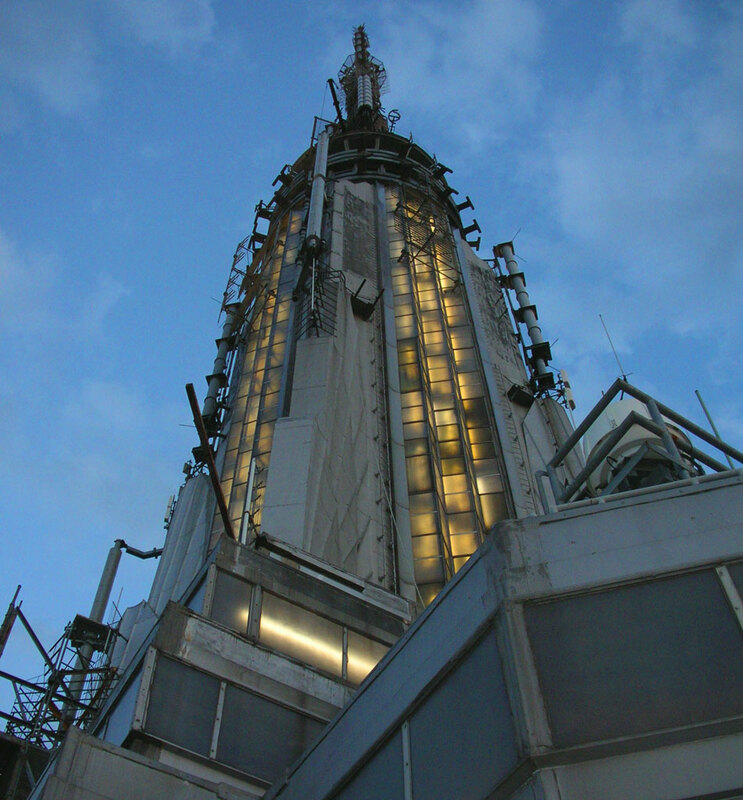 Since the September 11, 2001 attacks, nearly all of the city's commercial broadcast stations (both television and FM radio) have transmitted from the top of the Empire State Building, although a few FM stations are located at the nearby Condé Nast Building. 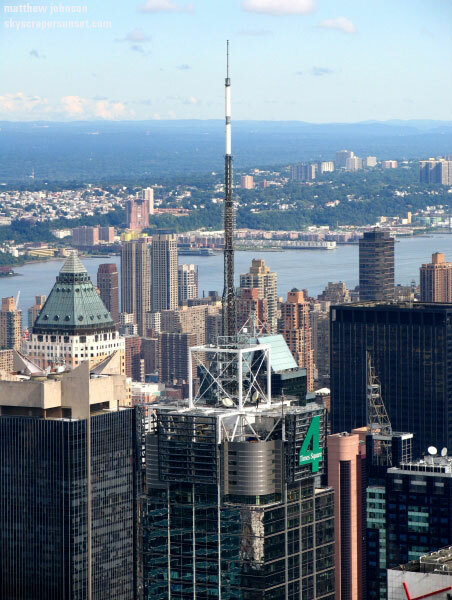 Most New York City AM stations broadcast from just across the Hudson River in New Jersey. 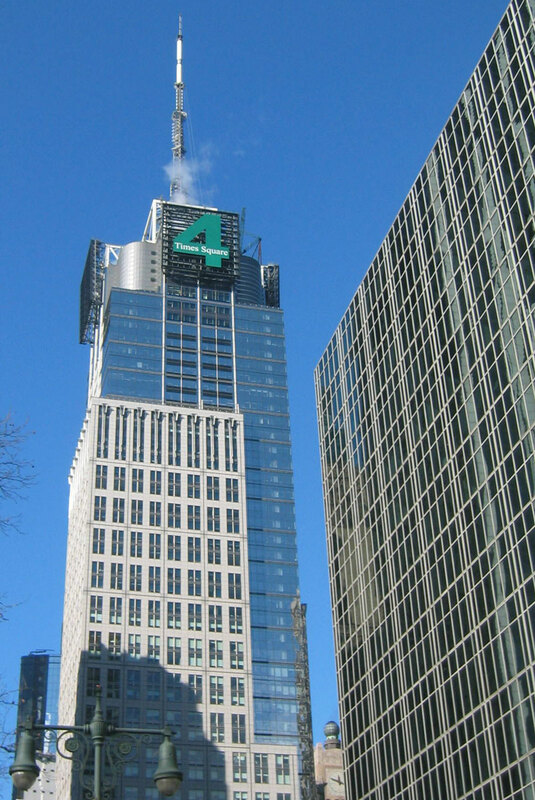 The Condé Nast Building, officially Four Times Square, is a modern skyscraper in Times Square in Midtown Manhattan. 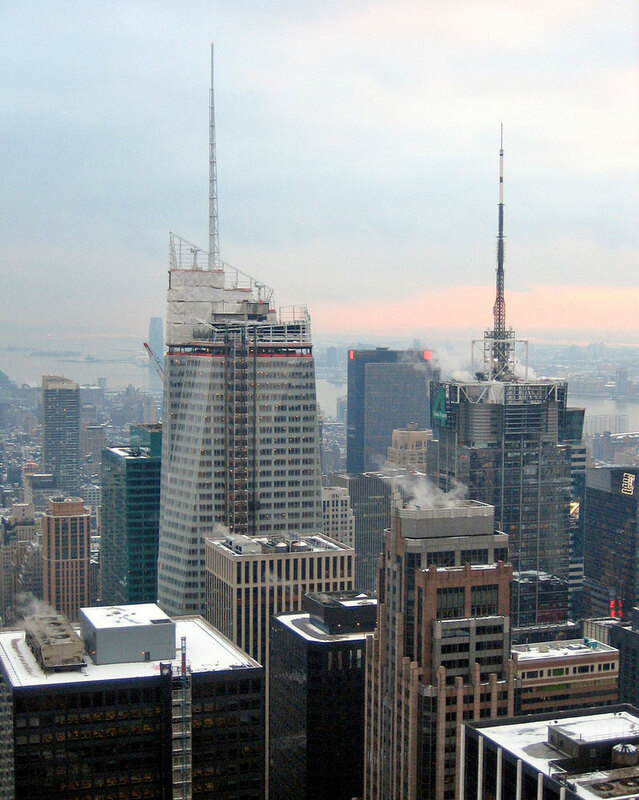 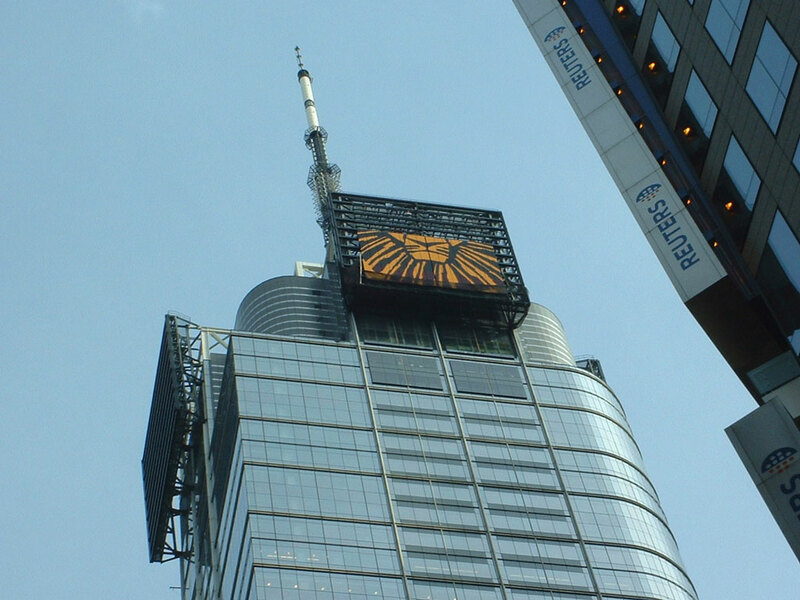 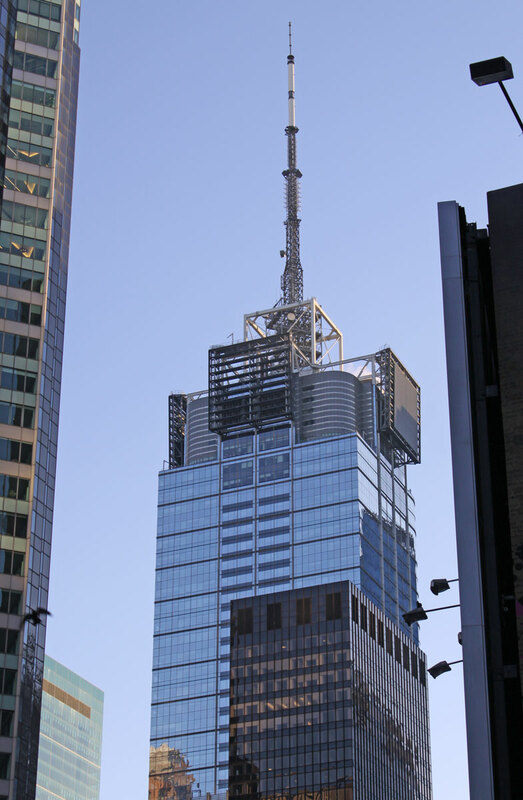 Located on Broadway between 42nd Street and 43rd, the structure was finished in January 2000. 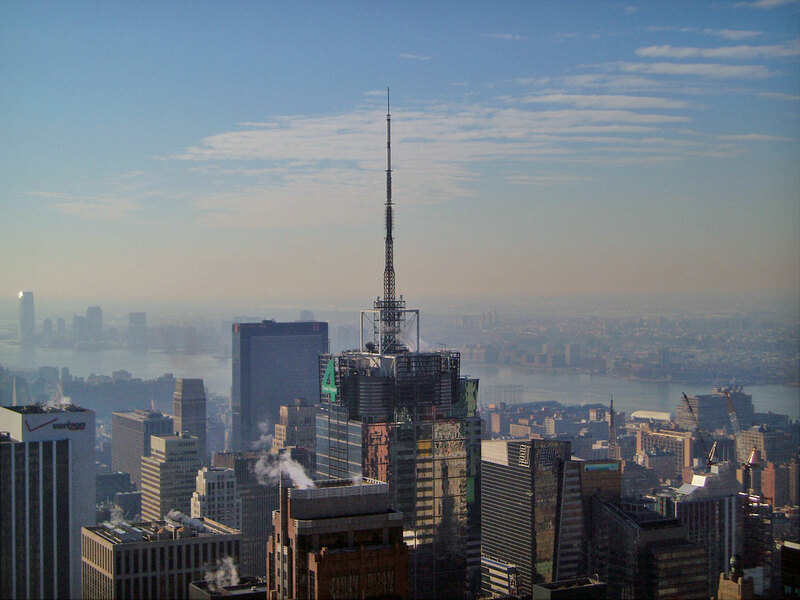 The building stretches 48 stories to 809 ft (247 m) making it the 12th tallest building in New York City. 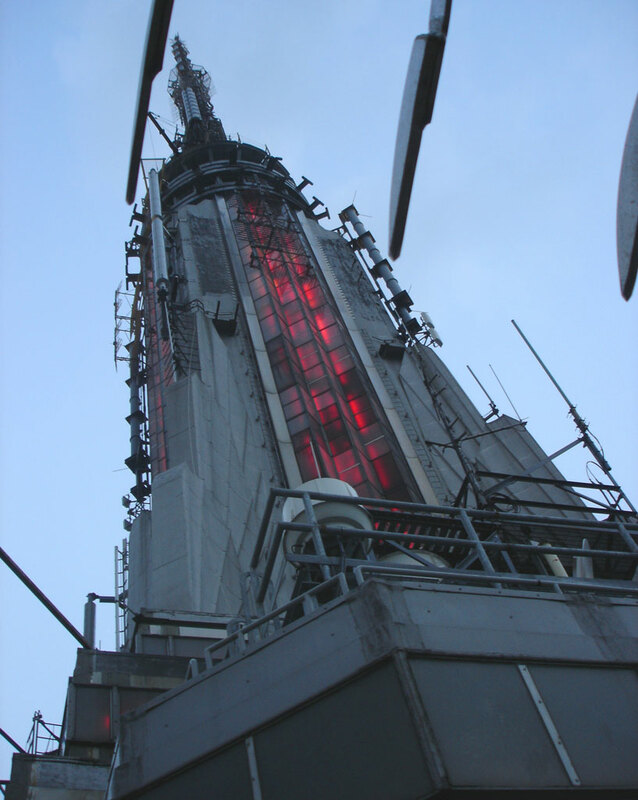 Between 2002 and 2003, the existing radio antenna, built primarily for iHeart Radio Communications as a backup transmitter site for its four FM stations, was removed and replaced with a 300-ft (91 m) mast to support television and radio broadcasters as a backup transmission site. 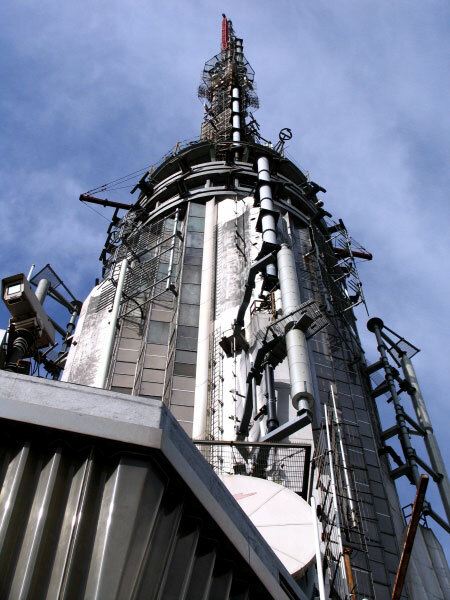 The mast has three tiers: one for VHF, one for UHF, and one for FM. 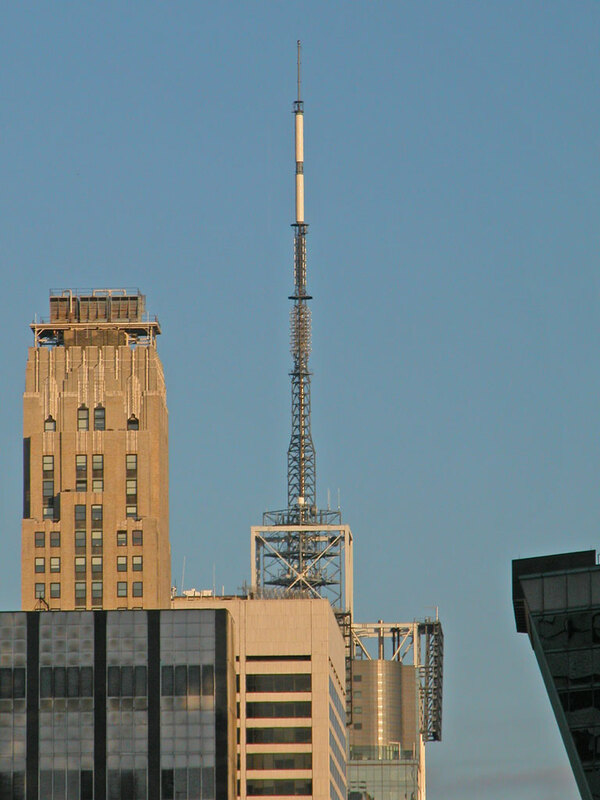 Currently, 8 FM stations use the site as a backup, and 2 FM stations (WKCR 89.9 FM and WNYE 91.5 FM) are using it as a primary site. 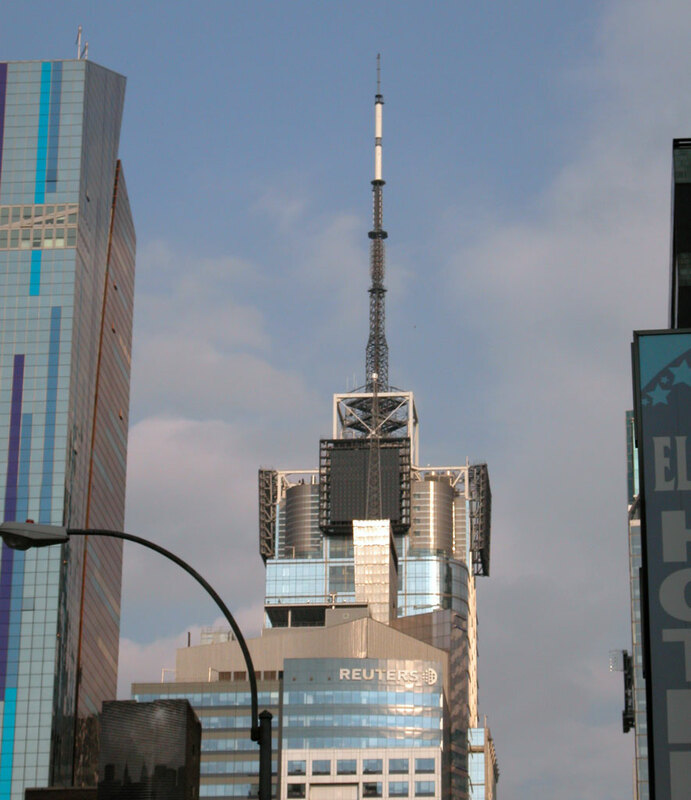 3 TV stations are using the mast for auxiliary use, and 1 for primary.